...FUN, ADVENTURE, HUNTING and FISHING, water and outdoor activities, summer and winter - it's ALL HERE in New Brunswick - Canada! - home to 100,000 deer, 17,000 Black bear, 25,000 Moose - a hunter's paradise! - NEW! CrossBow hunting is now permitted along with Bow, Rifle and Muzzleloaders! - Bay of Fundy, summer home of the endangered North Atlantic Right Whale! - Best snowfall in the Maritimes...guaranteeing a great time, every time. - U.S, dollars go further here... now that's great value! - Fresh, clean air and unspoiled nature - a family delight! - Winter activities make N.B. 's snow "White Gold"! - N.B. 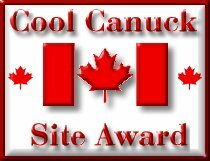 's "Outdoor Network" - only fully rated system of outdoor experiences in Canada! You will want to come back again! !